Spend a day out of the ordinary dedicated to Taste and Relaxation: Acqua Journey treatment with lunch, or dinner, for total wellbeing. 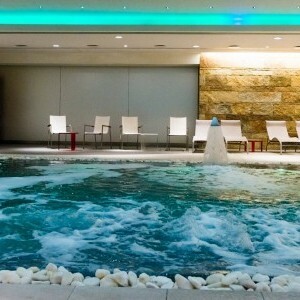 Treat yourself to total relaxation and wellbeing with 90 minutes of the Acqua Journey treatment at the TSPA Wellness Centre. Then to top off the day, enjoy the delicious cuisine of the Chef with a tasty lunch at TBistrot or a delicious dinner at TRestaurant. For info and reservations +39 070 4740 5028 or write to benessere@thotel.it. Lunch and dinner courses can be chosen from a special tasting menu and do not include drinks.